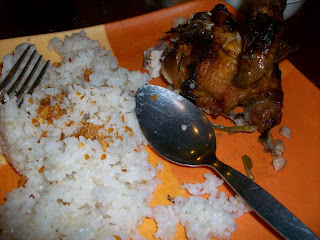 Aside from those three, i also ordered my previous staples: their chicken inasal, sinigang na baboy, and garlic rice... which you all read about in my last chic-boy blog. This time around though the inasal took the backseat as the cebu lechon manok totally took my breath away! As you can see with these pictures, the aroma sent my common sense amok and I started digging in before i remembered to take photographs. Their Cebu lechon manok is simply delish! The best lechon manok I've ever tasted. I tried Andok's, baliwag, chooks to go but this one passes with flying colors. 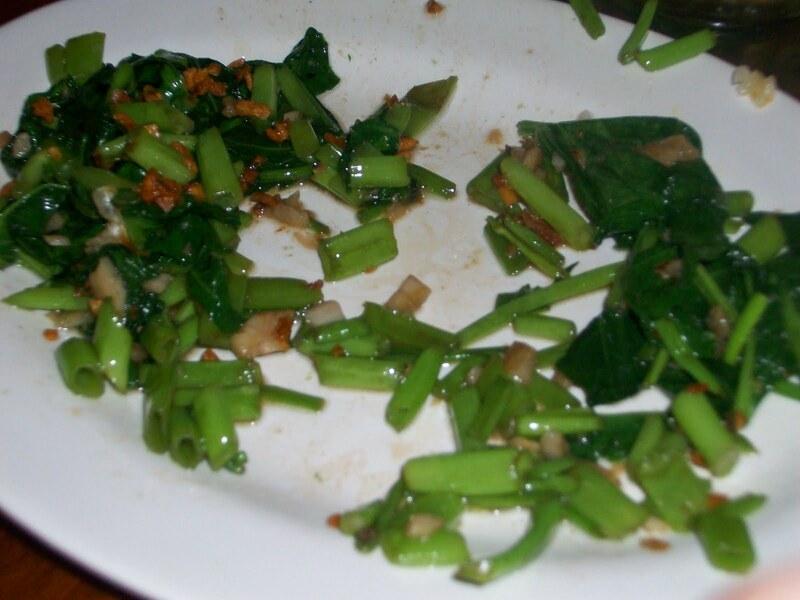 The kangkong was good too but a bit on the oily side. It reminded me of the kangkong that Superbowl offers but this one costs less than P50. 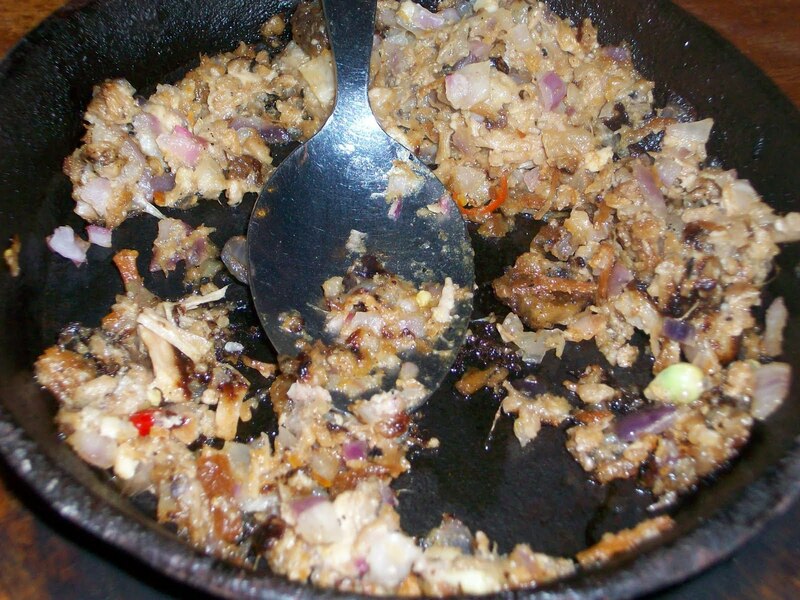 I'm not much of a sisig person but their lechon sisig was okay. Tasted like sizzling lechon but the portion was a bit small, half the size of a regular sisig order in other restaurants but good enough for one person to get really filled up.